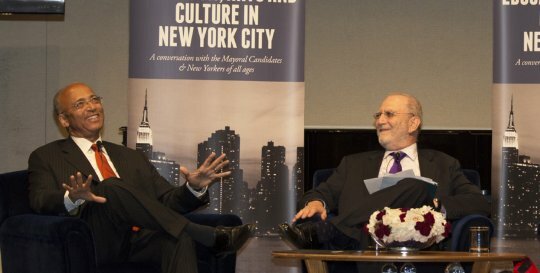 On Tuesday, July 30 Young Audiences New York in partnership with Teachers College and One Percent for Culture hosted a forum where mayoral candidates discussed their commitment to arts education and culture in New York City. This event was moderated by WNYC’s Leonard Lopate and NPR’s Kurt Andersen and each candidate was given twelve minutes to share their vision. Throughout the forum, a number of interesting issues were addressed. For example, it was noted that 5% of NYC children now attend charter schools. The candidates were asked whether or not the rapid growth of charter schools should continue? And the question that was on everyone's minds that was asked repeatedly: "Are you willing to commit 1% (roughly $700 million) to arts and cultural spending?"  To view each candidate interview and to hear what they have to say about funding the arts - click here. -"20% of NYC schools have no full-time art teacher. Half of schools have no full-time music teacher." 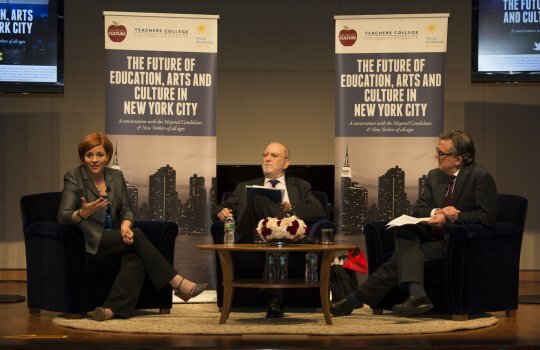 -"NYC spends only $3 per child per year on arts education." Supporting Partners: Alliance of Resident Theatres (A.R.T./New York), Arts & Business Council of New York, Arts & Democracy Project, Asian American Arts Alliance, The Broadway Association, Bronx Arts Alliance, Brooklyn Chamber of Commerce, Bronx Council on the Arts, Center for Arts Education, Cultural Institutions Group, Cultural Strategies Initiative, Inc., Dance/NYC, Fractured Atlas, Fourth Arts Block, The Greater Harlem Chamber of Commerce, Harlem Arts Alliance, The League of Independent Theater, League of Professional Theatre Women, Lower Manhattan Cultural Council, Manhattan Chamber of Commerce, The Municipal Art Society, Naturally Occurring Cultural District Working Group NOCD-NY, New York City Arts Coalition, New York City Arts in Education Roundtable, New York City Hospitality Alliance, New York Foundation for the Arts, Staten Island Arts.